Why Was An Oberlin Student Suspended Over A Square Root? In the wake of the recent school shooting in Florida, teachers and law enforcement are on edge. They’re worried about preventing the next massacre. 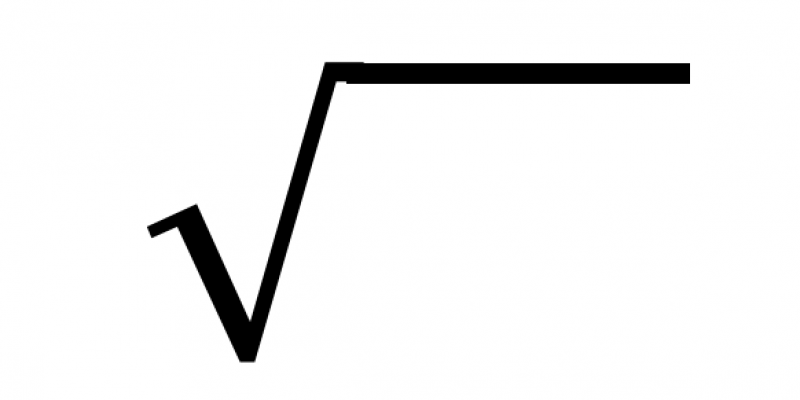 Last week, the Allen Parish Sheriff’s Office responded to an Oberlin High School student’s comments that the square root symbol looked like a gun. They investigated the comment and searched the home of the teenager. They found no evidence that the student was planning to attack the school and declined to press charges against the kid. However, the Allen Parish School Board is still not allowing the student on school property. The student is set to face an expulsion hearing to determine whether or not he can return to campus. The board has also changed its policy on how to handle students talking or joking about guns and school shootings. In response, the school board set a new policy. Any student accused of talking about guns or school shootings will be investigated by three entities: the school board, the sheriff’s department, and the district attorney’s office. “The first thing we’re going to do is remove that student from the premises with proper authority. Then, we’re going to have a home visit done by detectives of the sheriff’s department, and if no charges are filed, we’re going to conduct a threat assessment on the student,” Doucet said. […]Superintendent Doucet says he is concerned by the new stricter guidelines, but he says he’s doing what it takes to get the best results. This case is zero-tolerance stupidity at its worst. Clearly, the square root symbol is not a gun. Now that this kid has been cleared by law enforcement, he should be welcomed back to school. As a state, Louisiana spends $4 billion on public K-12 education. Perhaps we should expand school choice to keep it out of clowns like this.